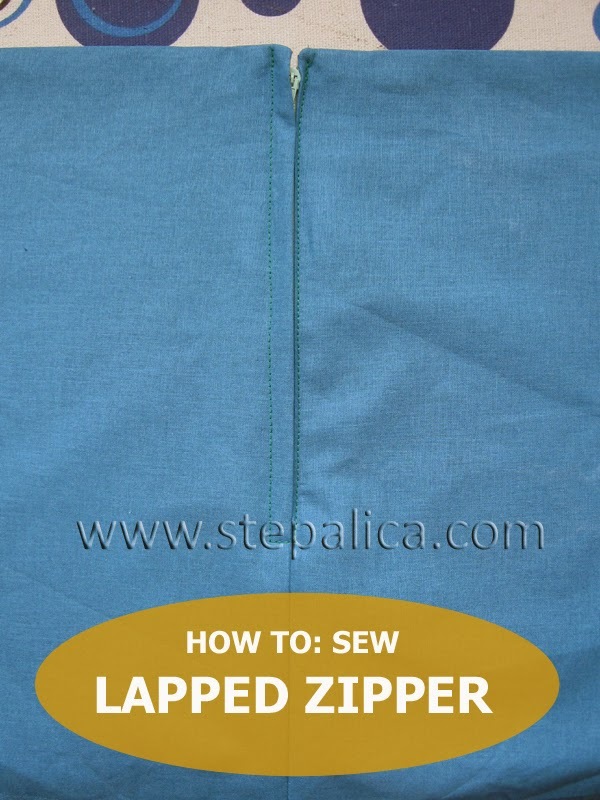 Today we're sewing a lapped zipper. Since I didn't use this technique on any of my skirts I will show you the method on some fabric scraps from my stash. Off course, you can apply the same principle on the skirt. 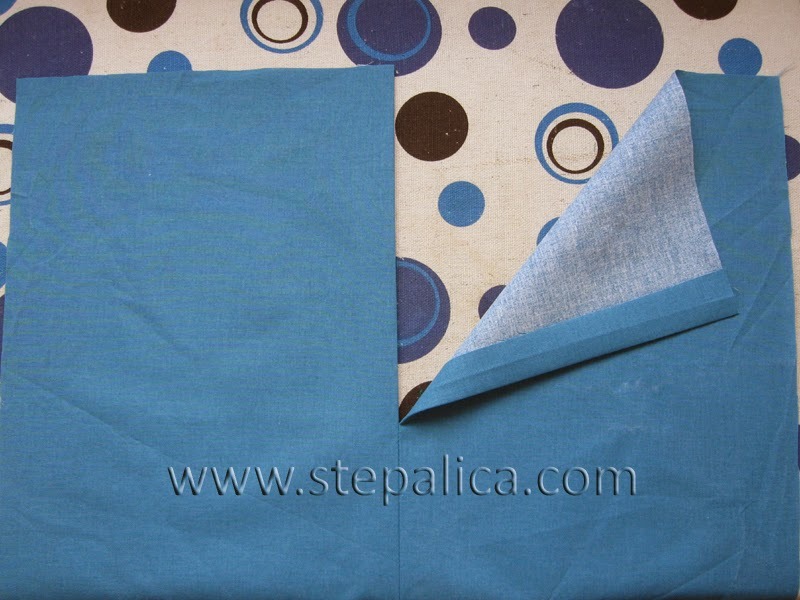 So, once you have sewed the left side seam of the skirt and pressed the seams open, fold the seam allowances towards the wrong side of the fabric and press them. 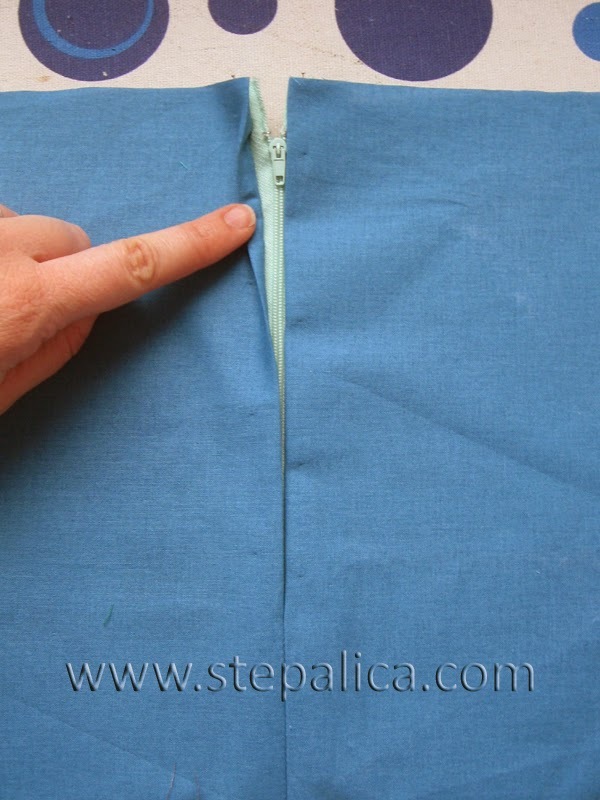 Lay the zipper under the fabric, aligning the right side of the teeth with the right side of the slit. 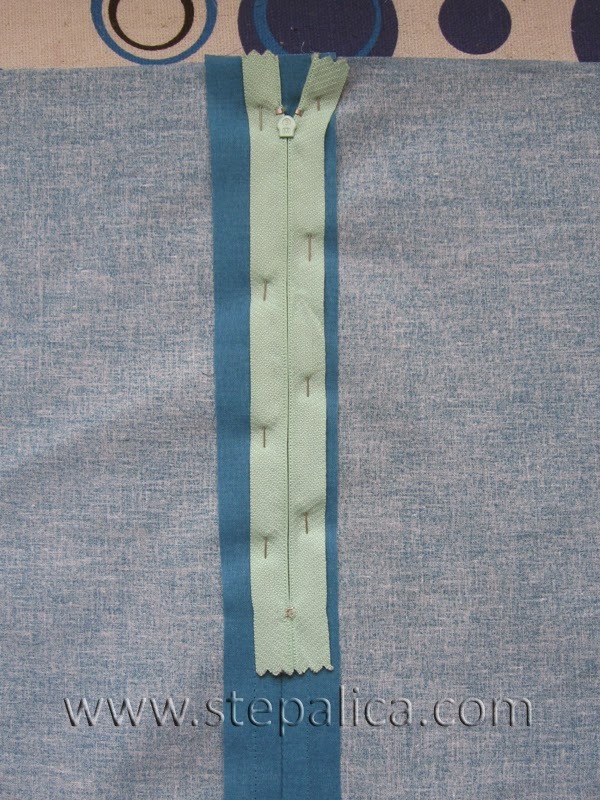 Try to place the fabric as close as possible to the zipper teeth. Pin the skirt to the zipper. Place the left side of the slit next to the right one, thus smoothly closing the slit. 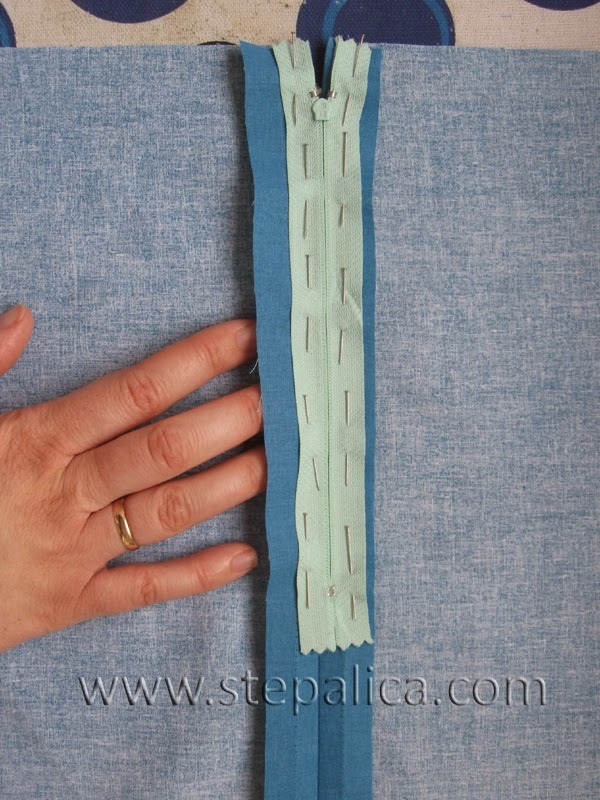 Pin the skirt to the zipper along the left side of the slit. Repin the zipper fron the wrong side of the fabric, slowly by removing the pins one by one from the right side of the fabric and placing them to the wrong side. 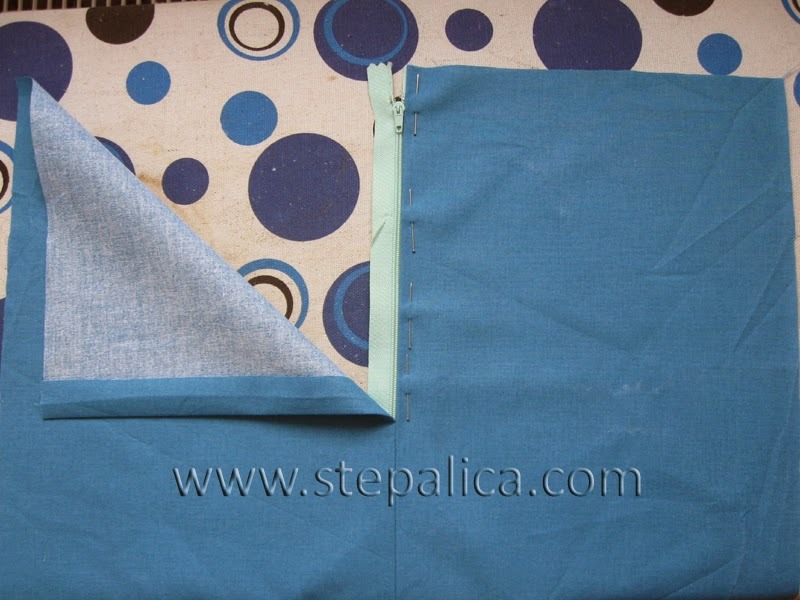 This time, pin the zipper only to the seam allowances, but not to the skirt fabric. 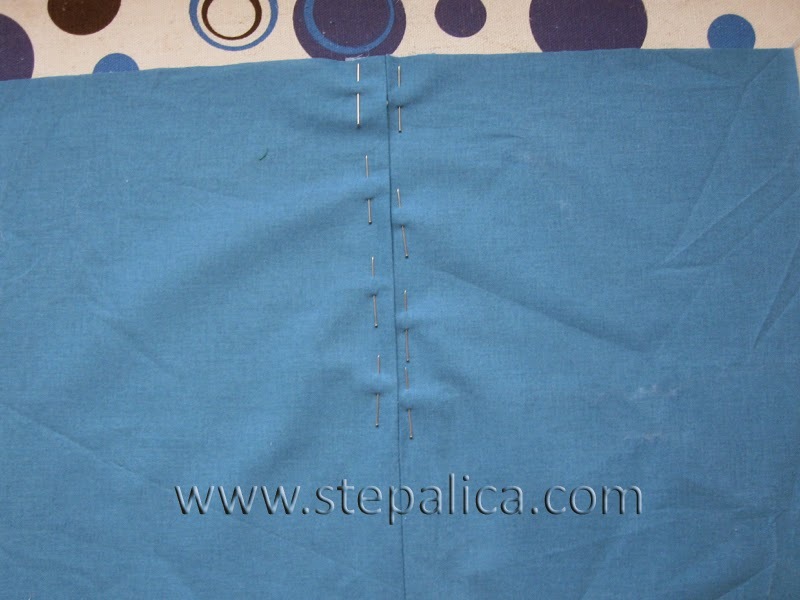 Sew the zipper to the seam allowances of the slit, by sewing in direction from the top towards the bottom edge of the zipper. 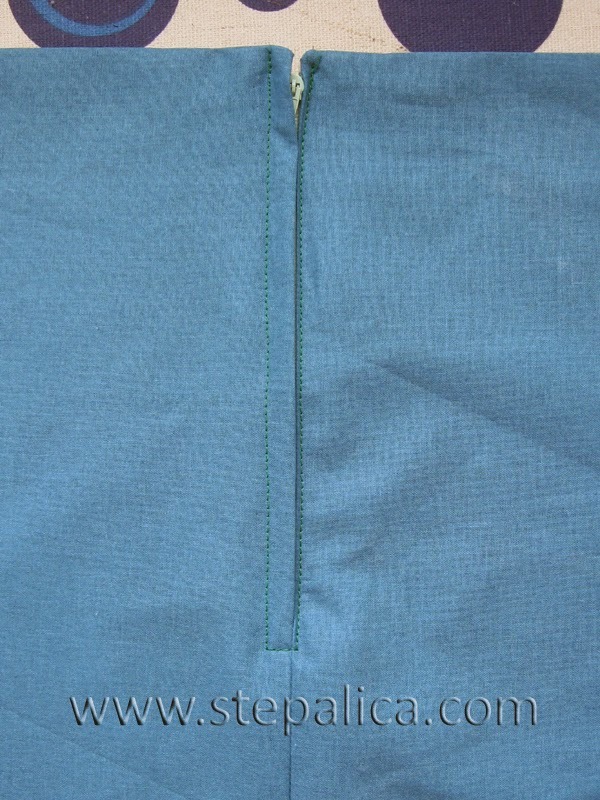 Using the technique I described in the previous article, sew the lining to the skirt along the waistline and along the zipper slit. Once you've done that, topstitch along the zipper, trying to stitch as close as possible to the zipper on the right side of the slit, and stitching approximately 1 cm away from the zipper on its left side. 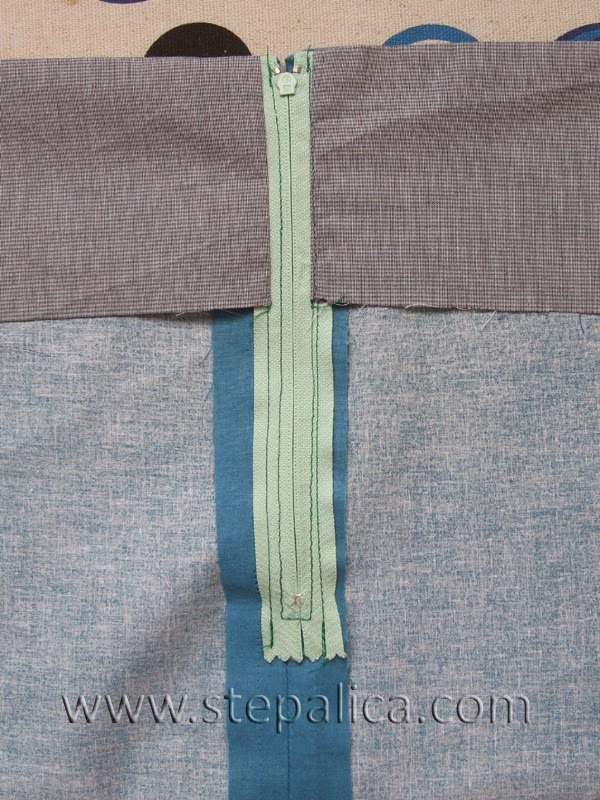 Tomorrow I'll show you how to make a button close as another way to close the skirt.